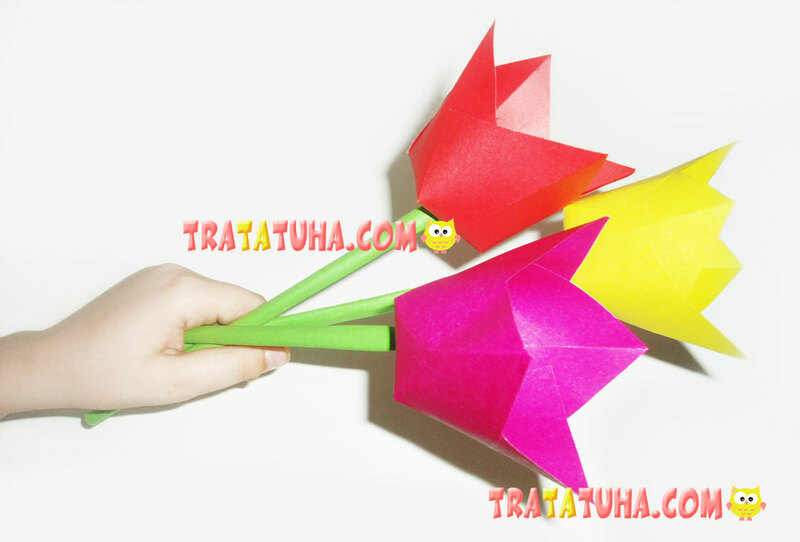 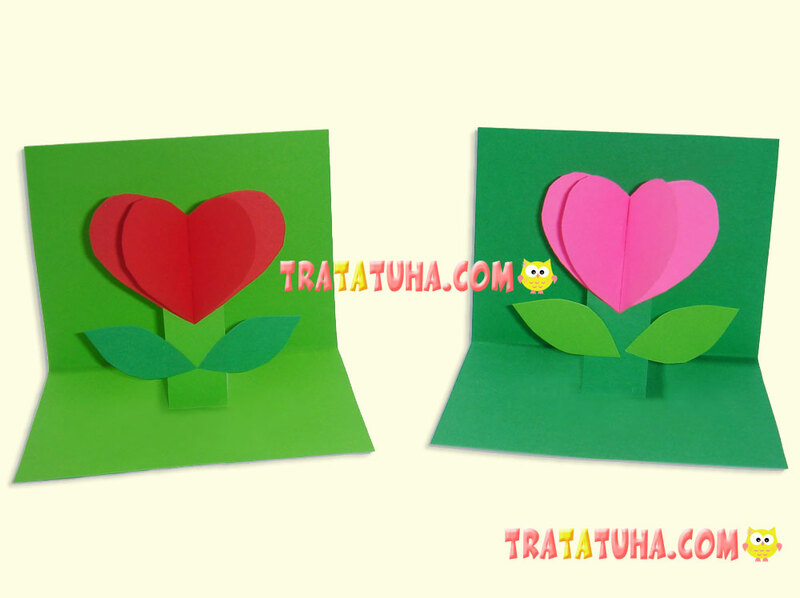 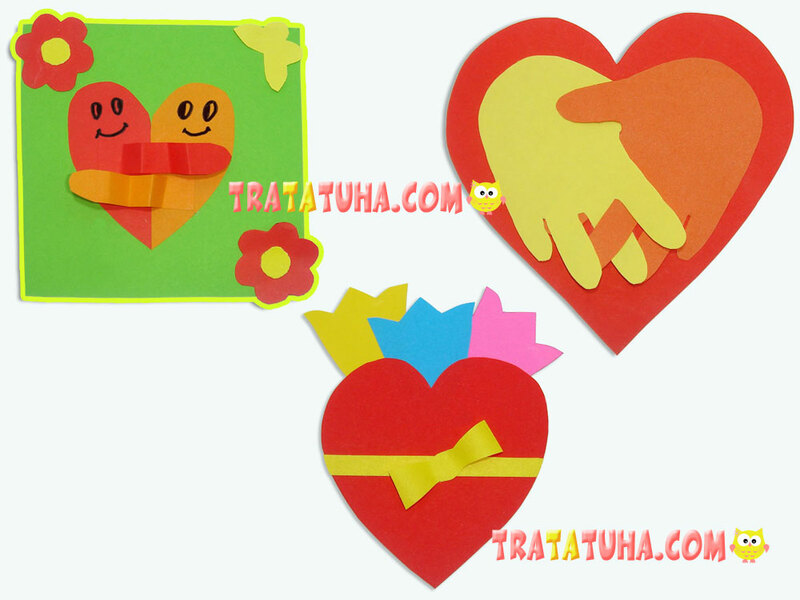 I would like to offer 3 simple ideas of Valentines day cards for kids. 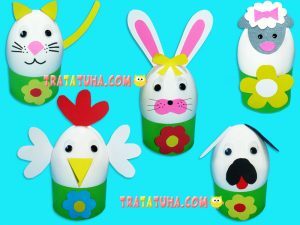 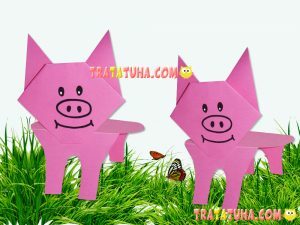 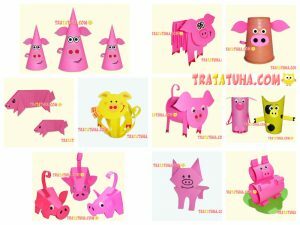 These are easy and amusing applique works that every child can make for his friends and relatives. 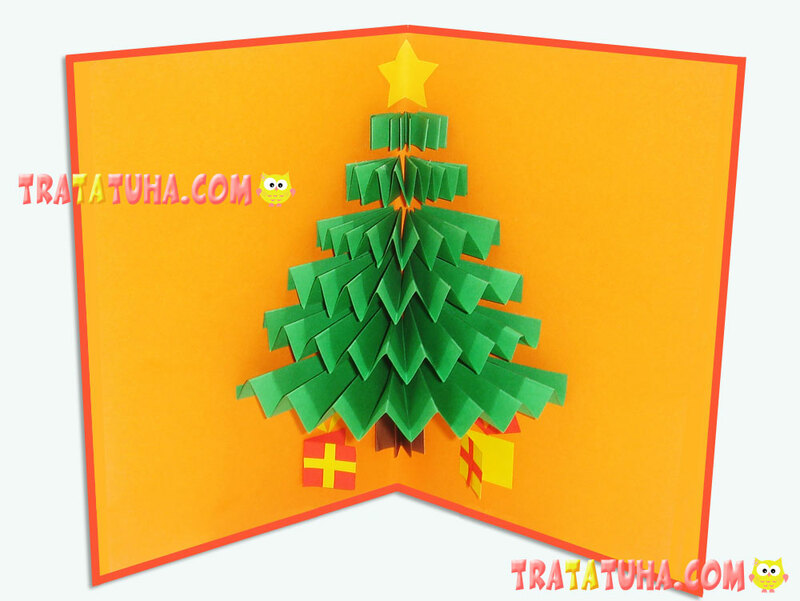 A hand-made 3D pop up card accordion Christmas Tree is an uncommon, surprising and pleasant gift that kids can make for their relatives. 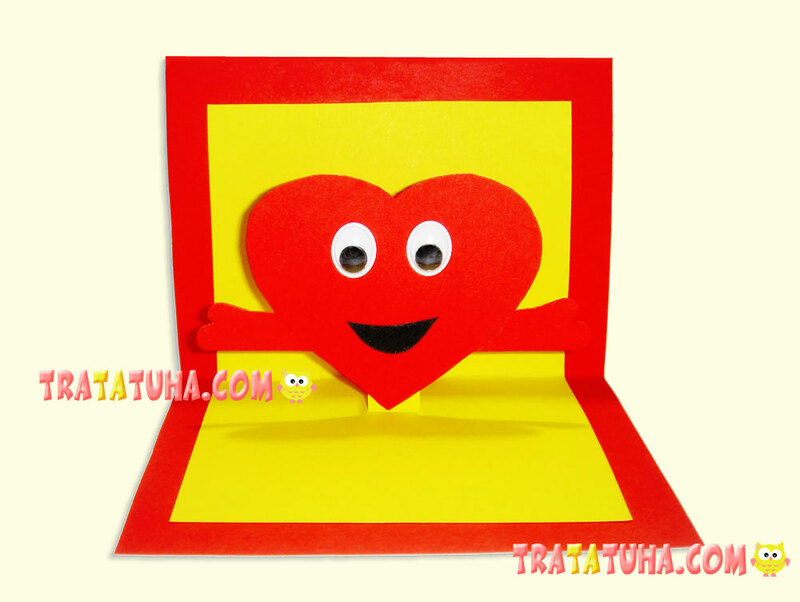 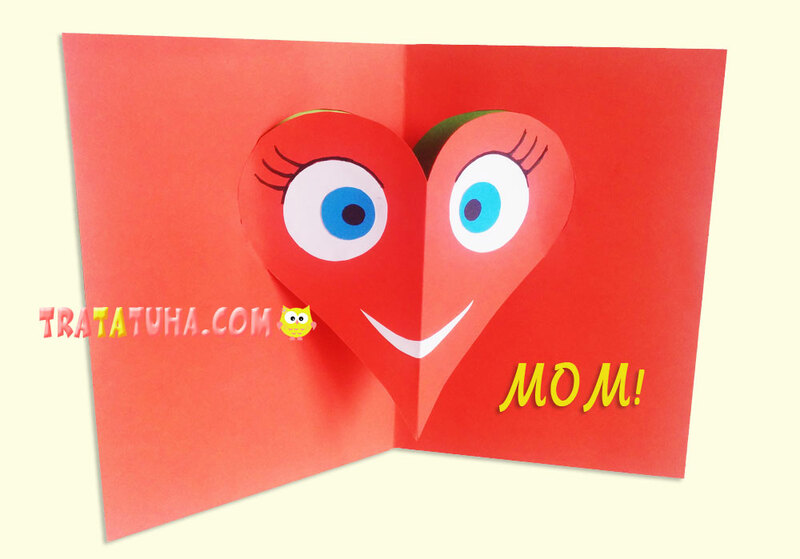 This card with a pop-up heart is very simple – it takes only a couple of minutes to make it. However, it looks very nice and unusual and the heart in the middle pops-up whenever you open it.